We're less than a month away from Unpacked, where Samsung will unveil the Galaxy S10 line, but the leaks show no sign of letting up. 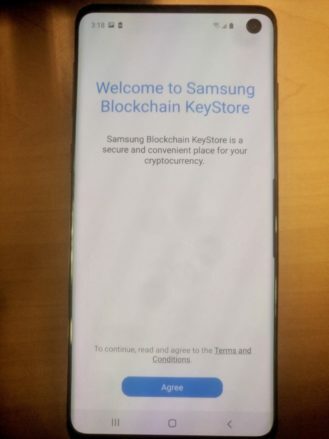 Today, Twitter user @GregiPfister89 posted images that show a Galaxy S10 running the rumored Samsung Blockchain KeyStore, an in-house cryptocurrency wallet. The new leaks look quite similar to what @evleaks posted a few weeks ago, showcasing the curved screen and a single hole-punch camera. I have mixed feelings about the "infinity-o" camera hole, but it looks more palatable than the rumored extended hole-punch of the S10+. There seems to be an awful lot of vertical real estate going to waste though, with the status bar icons being aligned with the hole-punch. When compared to the Honor View20 (which we recently reviewed), you can see the apparent size difference between their front cameras. 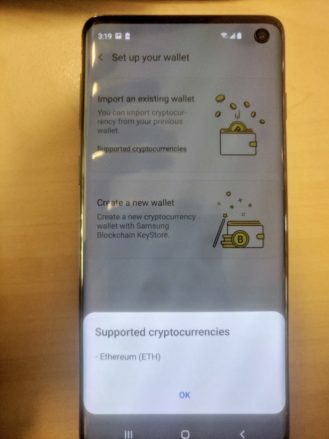 Now let's talk about the fact that Samsung thinks it belongs in the cryptocurrency space — it may not be as bizarre as HTC's blockchain phone, but it's up there. 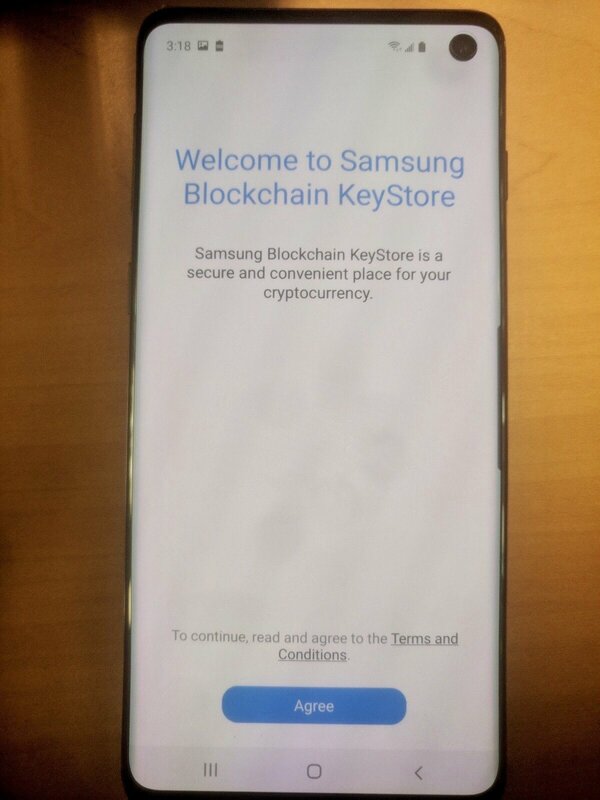 The screenshots of the Samsung Blockchain KeyStore only show support for Etherium, but I'd wager the app will allow most major currencies by launch time. 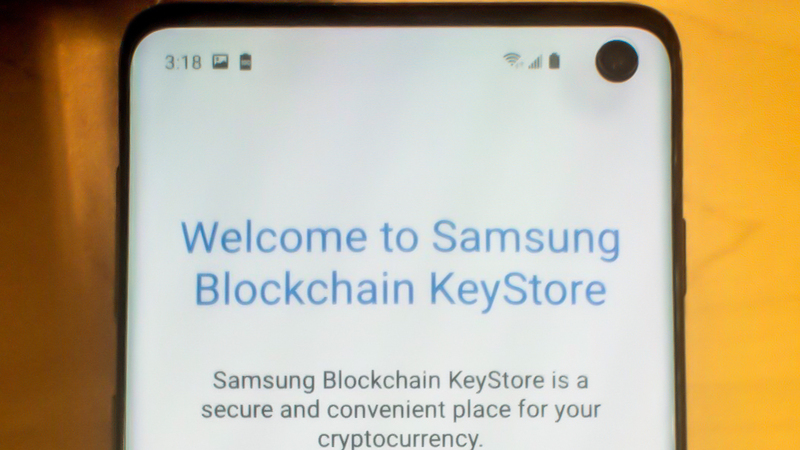 Would I trust my crypto with a smartphone manufacturer? That's a whole different question.